Calla Lily, meaning beauty, is timeless with its elegant bloom and pearl um. 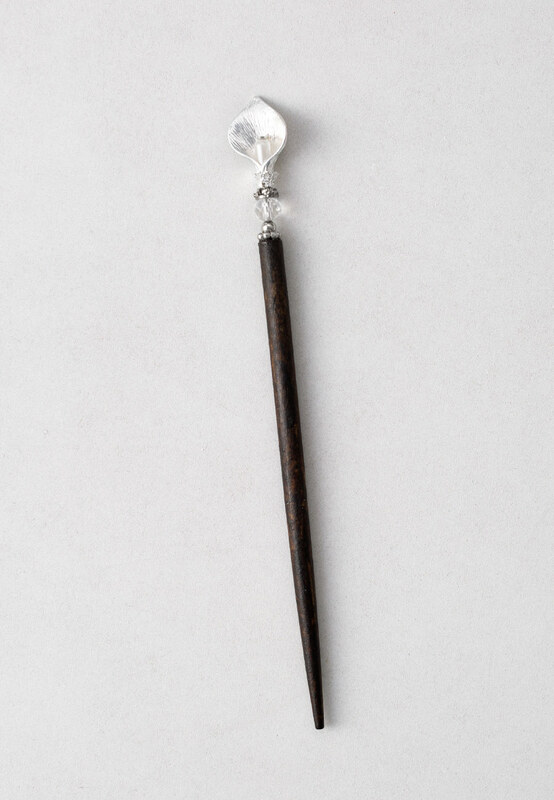 Lovely silver plate and glass accents create a memorable hair stick. Enjoy one or even two sticks with a fancy french twist or elegant braided bun.